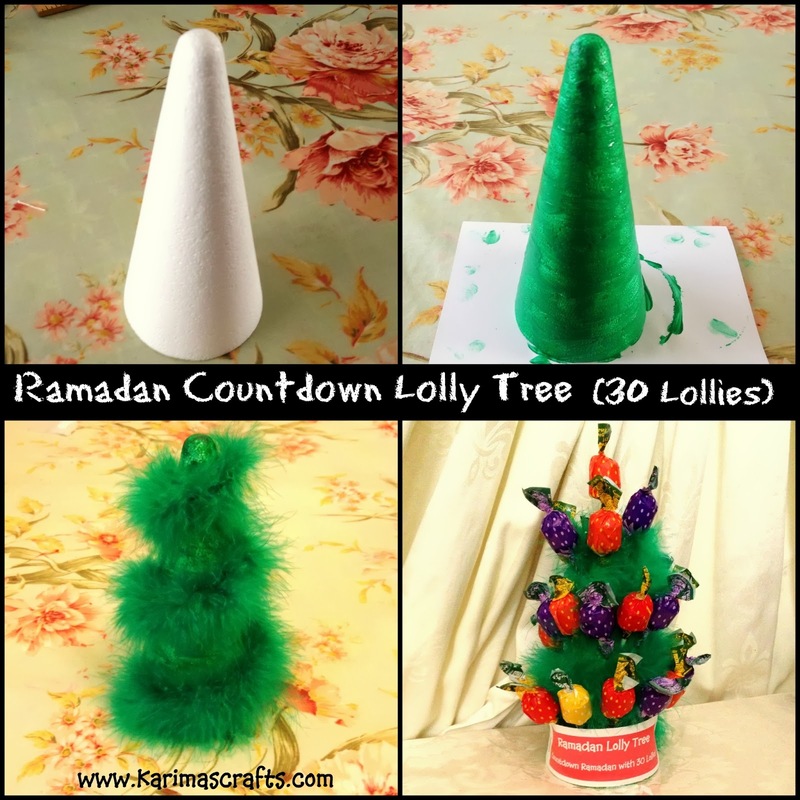 Today's Post is a Ramadan Countdown Lolly Tree. The children will love this idea! They can have one lollipop each day of Ramadan. Once the tree is empty they will know Ramadan has ended and it is time to celebrate Eid! I decorated this tree in green first as in a real tree but it after choosing some white chunky wool I think white looked better - you can choose any colour you wish! I have saw similar lolly tree gifts in all kinds of colours which looked brilliant! If you choose white, then you wouldn't have to bother painting the white cone shape! These types of trees are normally available at a lot of craft/birthday stores as these are often used at children's birthday parties and made to order but can be pricey to buy ready made up! 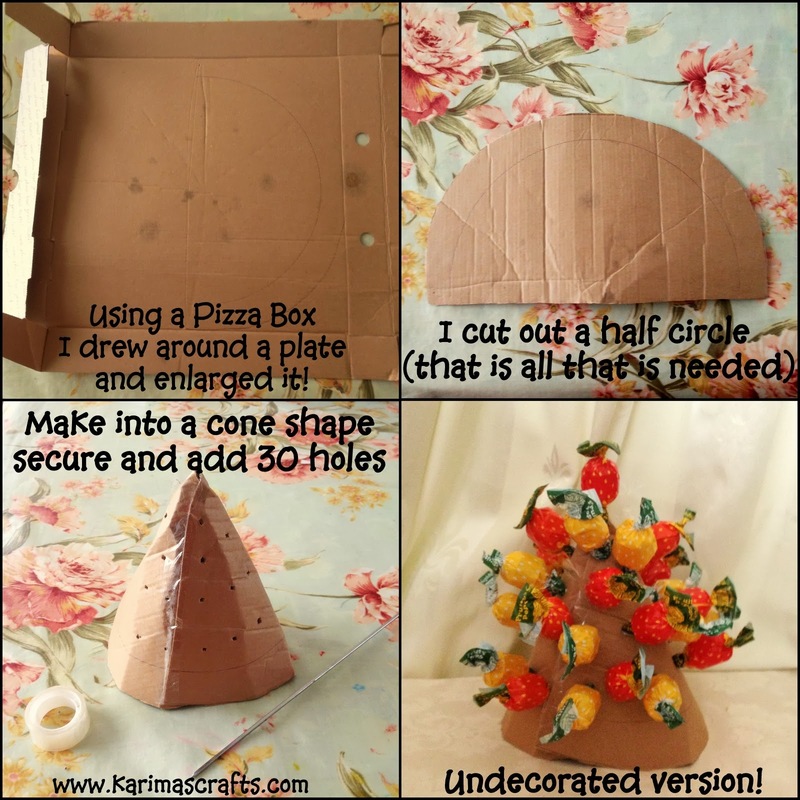 Cone shape - I used a polystyrene one bought at most craft shops (see pic) - Or make your own card one - see at bottom of post. Marabou Boa (Furry fabric) or Thick Fancy Chunky Wool - bought at most craft shops or a friends wool stash! 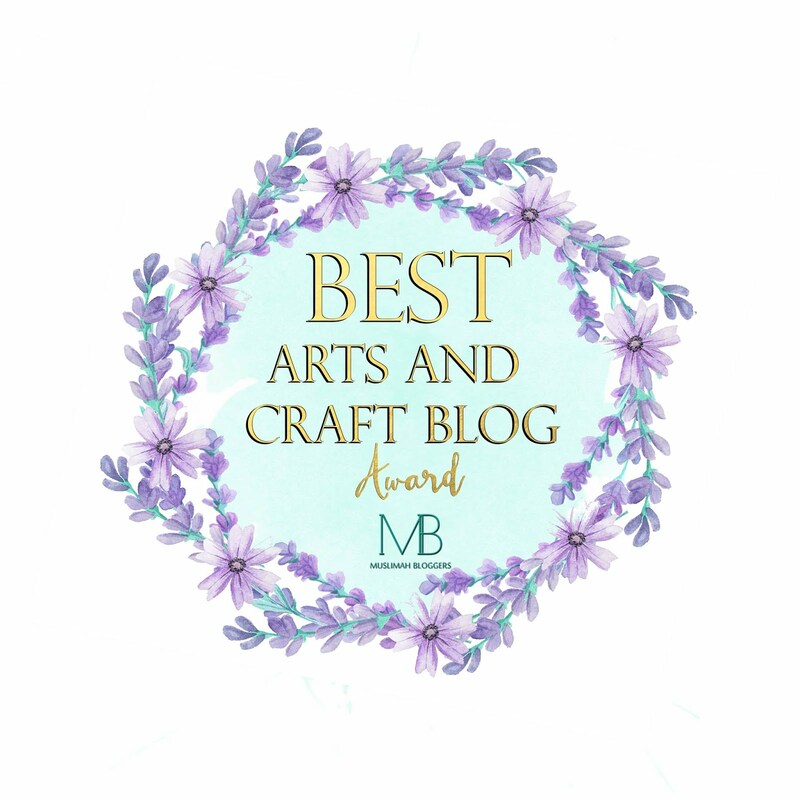 2) Wrap the boa/wool around the cone shape and glue the ends to the cone. 3) Use either a thin pencil or something similar to pierce 30 holes into the cone. I made the holes in a downward position. 4) Place the lollies into the holes - making sure you have 30. 5) (Optional) Either hand design or print out a design onto card explaining what the tree is and how to use it, and attach it to the bottom with either glue or stapler. Your tree is now ready to be eaten!